I have much to be thankful for on an everyday basis. A healthy family. A supportive husband. A secure job. Wonderful friends. But, recently, I have learned, I have much more to be thankful for. This week has been overwhelming. The response to the recent incident on Kol Nidre has been more than I have ever imagined. From people close to the family, from my community and from complete strangers. It is like getting a great big virtual hug. Many times a day. And it is heartwarming. Ok...and I LOVE the blog traffic. And, in my usual fashion, I have questioned my role and the bigger meaning of it all. Truth be told, the recent "publicity" has been a bit uncomfortable. Good or bad, as a doctor, my job never ends. It is a constant responsibility, as it should be. I consider what I did to be an extension of that job. My duty. To put my knowledge and education to use when someone needs it most. Not a hero. Just lucky. Right place, right time. Able and willing to help. Along with many others, who put forth great effort to make a difference. In Yiddish it is called Beshert. Meant to be. Beshert. I was near this man and able to help. Beshert. This man happens to be the uncle to one of my former partners. Beshert. Many doctor friends at the hospital continued to care for this same patient. Beshert. That I have a forum to discuss my thoughts and reflect on what happened. Beshert. That these words, told directly from my heart, could reach his family and loved ones so quickly. And that they touched a nerve with them. And with you. And that you may have been kind enough to share my story with others. I spoke with the son of the patient and he expressed his gratitude to me. He told me about his father. That he is his hero. That this was not his time. That he is a patent attorney, and still working. That his mind is sharp and he is a thinker. And that he is kind and generous man. 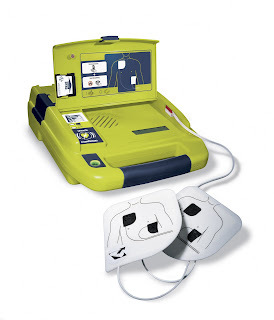 I told him that the AED saved his life. Because it did. This little machine, that can be operated by anyone, restarted his heart after its electrical system went awry. That he would not be here if someone had not bought that machine. Right place, right time. And then he told me something that made all of my doubts of heroism go away. Something that made me think less about the science of sudden cardiac death, and more about the meaning of his spirit. That machine saved his heart, but you saved his brain. He is more than his body and his beating heart. He is a devoted father. A loving husband. A generous member of the Jewish community. A thoughtful attorney. And in those few moments before his heart was "restarted", we preserved all that. For him. For his family. There are times when we are reminded how precious this gift of life is. This, for me, is one of those times. Thank you for your taking the time to read my post and for sharing your thoughts. 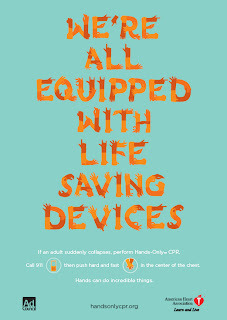 Here is important information about HANDS ONLY CPR. If you are faced with a situation like the above, you do NOT have to be a doctor to save a life. You don't even have to do mouth to mouth resuscitation. PLEASE watch the short video for a demonstration. I have also included a link to a handout that I give to all parents to put in their cupboards should their child need help. Click the above link and then select the 2nd box entitled "Choking Prevention". PRINT this. Put it someplace you will remember. You will need it in an emergency. 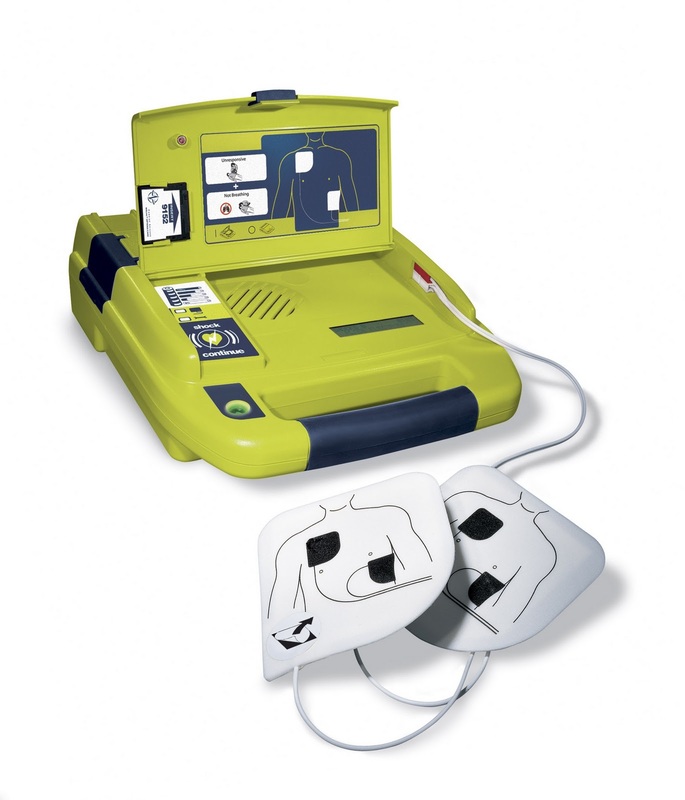 If you have never seen an AED, watch this video so you could use this simple device if needed. It could save a life.